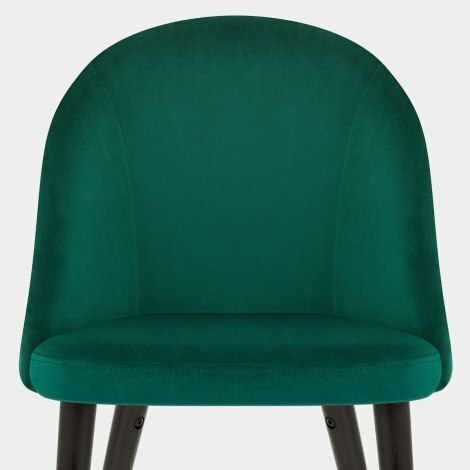 Exuding sophistication, the Polo Dining Chair Green Velvet is an awe-inspiring design that will add depth and interest to your dining area. A smart choice for luxurious settings and a chic statement piece in modest interiors, the Polo is a must-have. Charming green velvet upholstery gives the seat a real wow-factor. 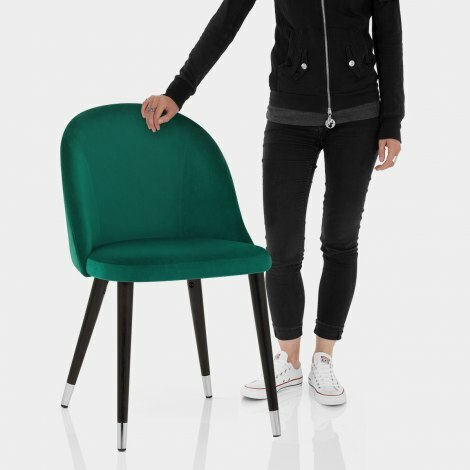 Filled with high-density foam padding for superb comfort and support, the rounded seat also incorporates a curving backrest with simple stitch detailing. Updated in a modern dark wenge finish, the four solid wood legs feature polished chrome tips for a touch of glamour. Ensuring use on many floors, the legs are capped with protective plugs that can also be adjusted for uneven surfaces.